Every day at TPI Solutions Ink we use a variety of programs to design and output files for both print and the web. Each program has its own strengths and it's important to choose the right program to get the job done. 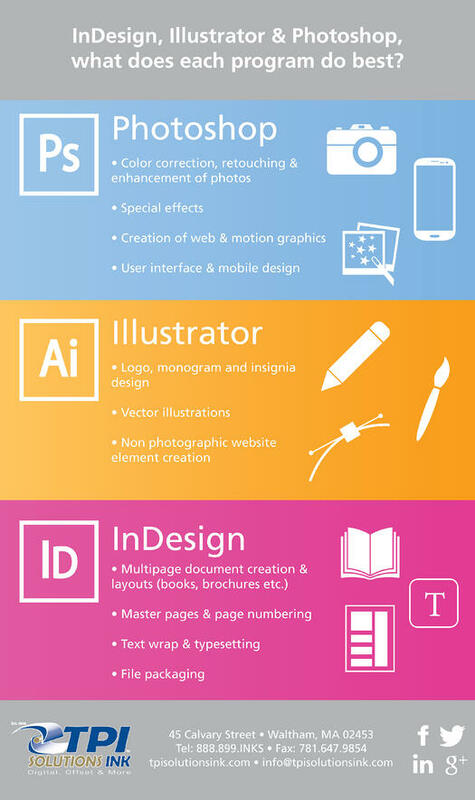 Below is an infographic that highlights the best uses for Adobe InDesign, Illustrator and Photoshop. For a more in depth explanation of these programs, check out our past blog post: InDesign, Illustrator & Photoshop, which program should you be using?.